Roger Wicker has served as US Senator from Mississippi since 2007, after serving in the US House of Representatives from 1995 to 2007. The rise of Roger Wicker’s political career has paralleled that of the Mississippi Republican Party. Born in Pontotoc in 1951, Wicker grew up the son of Circuit Judge Fred Wicker. He showed an early interest in politics, serving as a congressional page for Rep. Jamie Whitten when Wicker was a teenager. At the University of Mississippi, he was elected student body president. After graduating from the University of Mississippi Law School in 1975, Wicker spent four years as an active duty officer in the US Air Force, serving in Judge Advocate General Corps. He continued to serve in the Air Force Reserve until 2003, retiring with the rank of lieutenant colonel. After leaving active duty, Wicker worked for then-US Representative Trent Lott on the House Rules Committee before returning home to Tupelo, where he practiced law, including a three-year stint as the Lee County Public Defender. In 1987 he was elected to the Mississippi State Senate as a Republican. At that time, Mississippi’s 1st Congressional District was still represented by Jamie Whitten, who had first been elected to congress in 1940. Whitten, a Democrat, had amassed tremendous seniority, serving as chairman of the powerful House Appropriations Committee. This power helped keep him in office even as the 1st District became Republican-leaning. When Whitten announced his retirement in 1994, political observers assumed that the district would elect a Republican, even though the seat had not been in Republican control for over a century. Wicker joined a crowded field of candidates in the Republican primary, winning a narrow victory in a runoff. In the general election, he won easily, attracting 63 percent of the vote in what would be a national wave election for Republicans. He came to Washington in 1995 as part of the large and influential freshman Republican class. He worked within the Republican establishment on the Hill, becoming a deputy party whip. Congressman Wicker easily won reelection to the House six times. At the end of 2007 Wicker once again took advantage of the retirement of a long-serving politician. When Sen. Trent Lott announced that he was stepping down, Mississippi governor Haley Barbour appointed Wicker to fill the seat until a special election could be held the following year. That 2008 election pitted Wicker against his previous state senate colleague and former Mississippi governor Ronnie Musgrove. In a hard fought race, Wicker was elected with 55 percent of the vote. 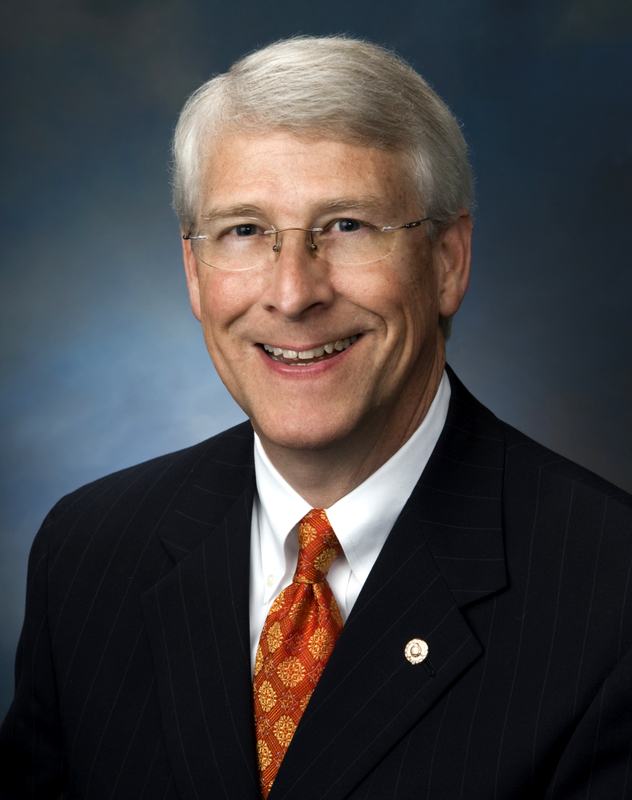 Senator Wicker easily won reelection to a full six-year term in 2012. In the Senate, as he did in the House, Wicker supported mainstream conservative policies, though that stream had moved much farther to the right during the presidency of Barack Obama. Wicker became part of the Republican establishment, serving in the party leadership and serving a term as chairman of the National Republican Senatorial Committee, which leads the effort to elect Republicans to the Senate. While his conservative political views did not differentiate him much from the era’s Tea Party movement, his temperament did. Wicker has been ardently pro-life, has worked to support tax cuts and increase defense spending, strongly opposed the Affordable Care Act, and has been a longtime critic of environmental efforts to restrict carbon emissions, questioning the scientific consensus about climate change. Yet his moderate tone and support for the Republican leadership of the Senate briefly made him a target of the Tea Party faction in Mississippi when Republican state senator Chris McDaniel filed to run against him in 2018. But once McDaniel realized that Wicker would be a formidable opponent and Sen. Thad Cochran announced his retirement, the Tea Party favorite McDaniel switched over to run for the open seat. As a senator, Wicker authored the Securing Our Homeland by Increasing our Power of the Seas Act, which made a 355-ship naval fleet the official policy of the United States. He has also been a strong advocate for medical research. While in the House, Wicker wrote the Muscular Dystrophy Community Assistance, Research, and Education Act, the first federal legislation that specifically addressed Duchenne muscular dystrophy. Since this act was signed into law, the average lifespan of muscular dystrophy patients has increased by twelve years. In 2014 Senator Wicker led the effort to reform the law to allow researchers to focus on nonpediatric patients.